This is a Flickr badge showing items in a set called Street Pole Dance around Hong Kong!. Make your own badge here. They are HARD to find! 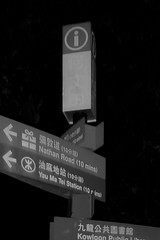 Although they are installed nearly everywhere around HK. It is hard to locate them, for instance, we spent ages in finding the Admiralty/Fortress Hill ones but failed. At first I thought they would be installed as long as there is a MTR (Mass transit Railway) station but the fact they are not. I also failed in finding ones for "Dai Tam" as well.... this is very annoying to be honest. Some of them are really old! Some of these poles, for instance the Happy Valley and Boham Road ones are EXTREMELY dirty.... the dusts and dirts covered on these "poles" are soooo thick that it makes them very difficult to grip. (And I always have to wash the pair of trousers immediately afterwards...). Since I've decided to do different pole poses on different poles.... and the number of poses you can do on these "poles" are quite limited to be honest, as they are very THICK (somewhat like 10cm in diameter.... and my hands are small!).... Poses like "Straight Edge", "Aysia"... "Hand Spring" etc are basically IMPOSSIBLE to perform.